East and West Rockhill Townships have a very rich and diverse history. Travel back through time with us and see the people, the places, the beauty of a simpler time. 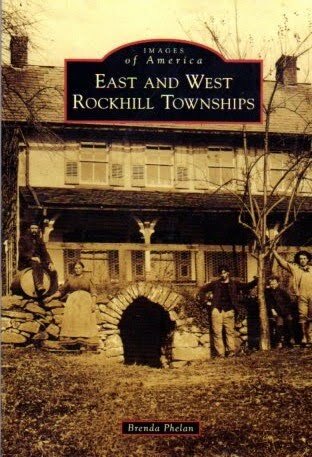 Experience the past through the pages of East and West Rockhill Townships. You can purchase "Images of America" at the West Rockhill Township Building, Reclaimed Relics at 255 Route 313 Perkasie, Pa. and the Upper Bucks Chamber of Commerce and Visitor Center at 21 N. Main Street, Quakertown Pa. Or contact us at brephe@gmail.com. The book costs $21.99 with a $5:00 postage fee. Do you want to learn more about West Rockhill? Buy Images of America: "East and West Rockhill Townships" The Historical Society will be at the annual Gallery of the Arts in Sellersville on September 18th 2016 and Septemberfest at James Park across from the West Rockhill Township Building on September 25th. See you there!! Release date: September 5th 2011.